Peninsular de Vastagos is a Spanish company which specializes in the storage and distribution of industrial steel tubes, chrome-plated bars and pipe fittings for hydraulic and industrial applications. 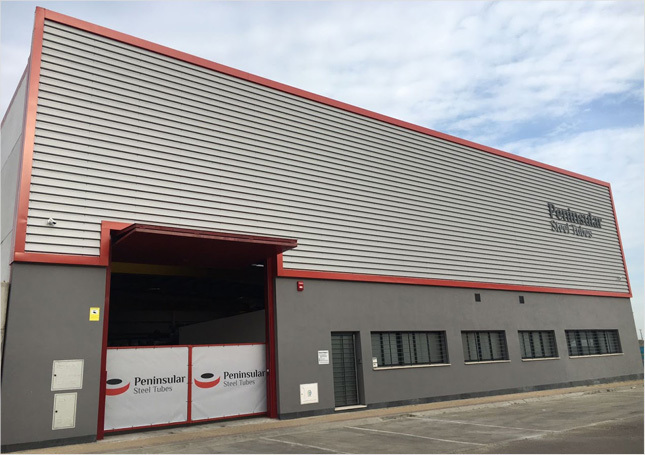 Founded in 1997 by professionals in the tube industry with solid and proven experience, Peninsular de Vastagos has established itself as a leader in the Spanish market and has a growing presence in international markets with customers in over 40 countries. With two lines of business, our hydraulic division offers a great deal of flexibility to our customers thanks to our large inventory of a wide variety of precision steel tubes and chrome-plated bars. Meanwhile, our industrial division offers a complete range of tubes, pipes and pipe fittings in collaboration with leading manufacturers worldwide. All this, with the flexibility of a service center, allows us to offer tailor-made solutions to your needs, both quickly and effectively. We work closely with our clients, providing technical advice, assisting in the planning and management of projects and delivery programs, and establishing strategic alliances that help optimize their purchase and supply needs. Everyday we service a broad customer base, including demanding industries such as fluid power, automotive and auto components, process industries, engineering and construction, oil & gas, offshore and renewable energy among others. Peninsular de Vastagos offers you its technical know-how and expertise, a wide range of products and services, and the experience and international reputation backed on a worldwide customer base with one purpose, to deliver the right solutions.